The attraction of mankind to consumer society is greater than ideologies and political revolutions, except the communist revolution stimulates progressive perception, while capitalism trades. Those in the service of political technology prove more robust than trade technology, which is why in the last forty years mankind became Soviet in one third of its population. Capitalist countries perceive the risk of the international revolution and began the technical-military attack. This is how they arrived at becoming the two atomic colossi of the 1980s, who seek to conquer the whole world. The leaders of today's world are just maniacs from progress, as well as theorists of progressivism. Progressivism is a global phenomenon. Never has humanity been so unanimously busy with a perception as in the age of technology. The mind of people is becoming materialistic. It dedicates, educates and pursues all actions to realize the maximum, unlimited and absolute technical development. 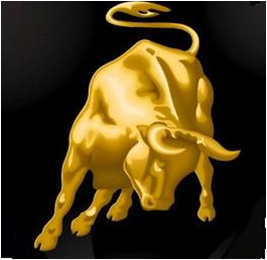 The golden calf, the ancient god, is manifested today as a powerful factory within the soul of humanity. The world worships the machine. It is a pseudo-religion of materialist doctrines, of materialist meanings and a zero end. Because material is zero and the spirit of the people has become a zero by the deification of matter. Matter has become an aim and not an instrument of the spirit. Humanity is no longer transcendent and mental imbalance, moral degradation, political tyranny, destruction of nature, alienation and ultimately atomic war have become a consistency. Modern civilization has gradually developed its own end, because they are the most unhinged people ever. Their sheer power and end is disastrous. Moving along the road to peaceful progressivism the world will perish through sensationalism, anarchy, tyranny, hatred, pollution of nature, forfeiture of the stores of nature, conflict, decay and alienation of people. The country which has the monopoly on the sophists weapons, genetic engineering and technical control of consciences will be powerful and will destroy humanity. Nobody guarantees the freedom of people in this culture, and no one can rule the technological forces. So humanity is living at the height of despair. For humanity to remain and be ruler in the world, to survive and to build it on his own, the end of the age is necessary and the beginning of a new age.